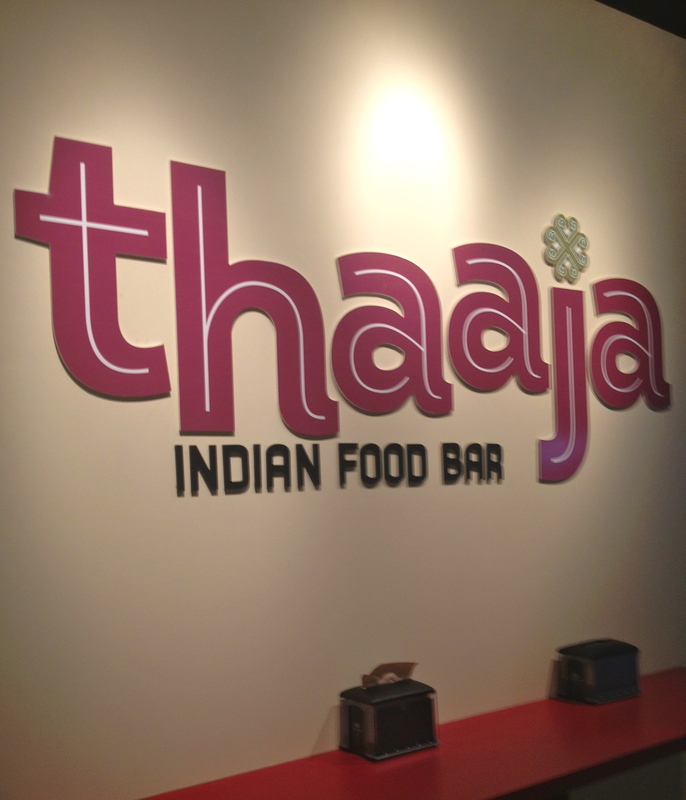 Thaaja Indian Food Bar, specializing in quick and customizable Indian food made from scratch, plans to open Wednesday in NoMa (1335 2nd Street, NE). 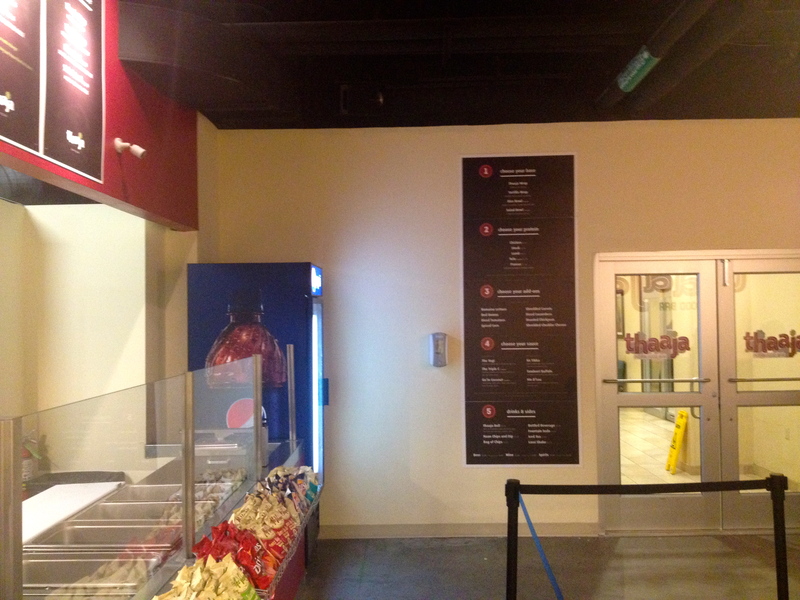 You can see our detailed preview piece here and the menu here. 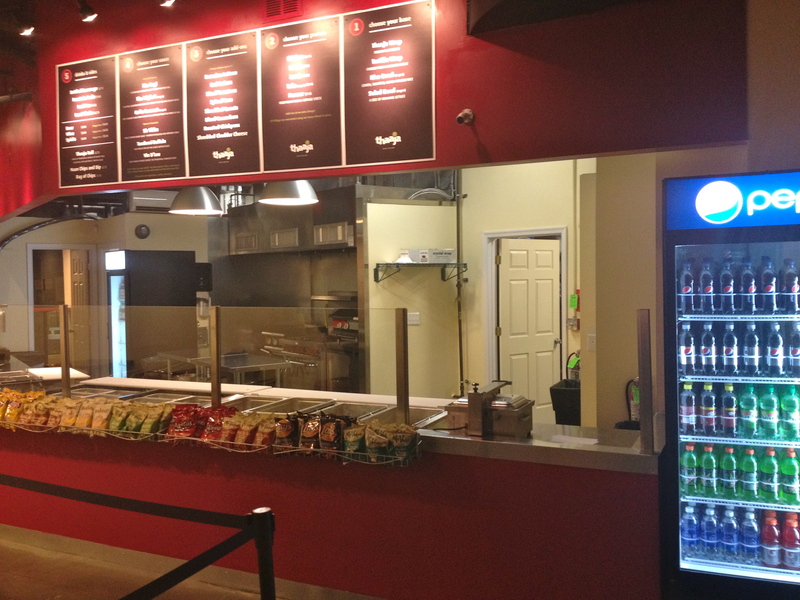 Thaaja will offer diners the opportunity to build their own Indian meal from a variety of different proteins, vegetables, and homemade sauces in a setting similar to Chipotle or Roti where customers choose ingredients from the display right in front of them. At Thaaja, diners initially choose between a wrap, a rice bowl, or a salad bowl and then choose from chicken, lamb, steak, Paneer (an Indian cheese), or tofu before completing the meal with different vegetables and sauces. 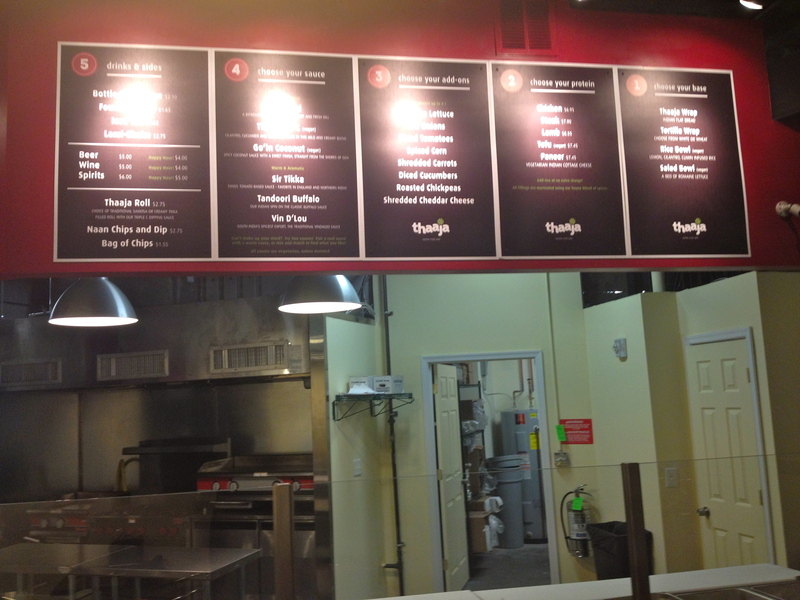 The price ranges depending on the protein, but all are reasonably priced around the $7-8 range (with unlimited toppings). Thaaja will also feature several different sides/appetizers, including Thaaja rolls (available as a samosa or with a tikka filling) and naan and chips; all of the sides will be priced at $2.75. Thaaja will also have freshly made Lassi shakes (an Indian drink with a yogurt base) in a variety of flavors for $2.75. In addition to its food and Lassi shakes, Thaaja will also have a variety of drinks. Thaaja will have several beers, including Kingfisher (from India), Flying Fish, Agave Wheat, and then several standard bar beers (Bud Light, Corona, and Stella). They will also serve several wines in individual serving bottles as well as several mixed drinks. Thaaja hopes to attract a strong happy hour crowd as from 4-8pm everyday all beers and wines will be $4 and all mixed drinks will be $5. The inside of Thaaja will provide a nice setting for lunch and dinner as well as for people who want to go to a local happy hour (something currently needed in NoMa). 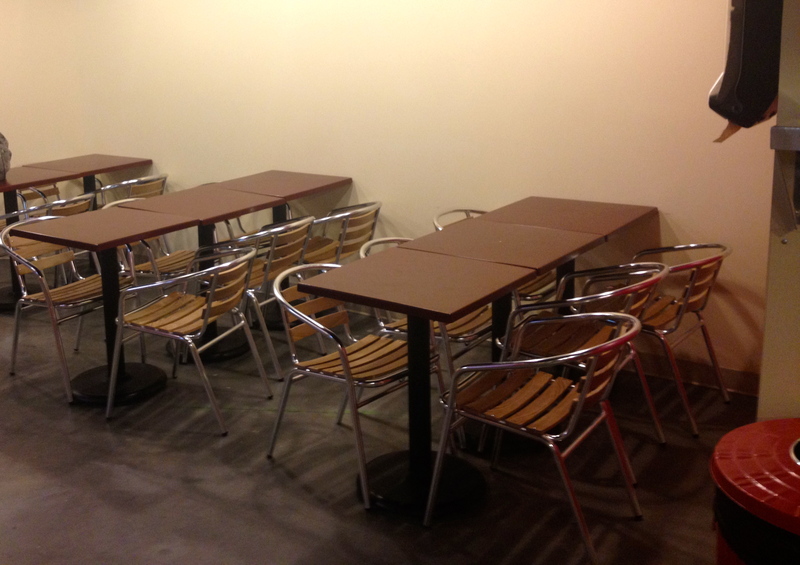 The owners hope to set up delivery and catering services soon. Starting tomorrow Thaaja will be open from 11am-8pm Monday-Friday and should be a great addition to NoMa.